Last week it appeared that TMZ brought us more celebrity controversy, and we’ve got to admit here at LuxeModels, we love it! 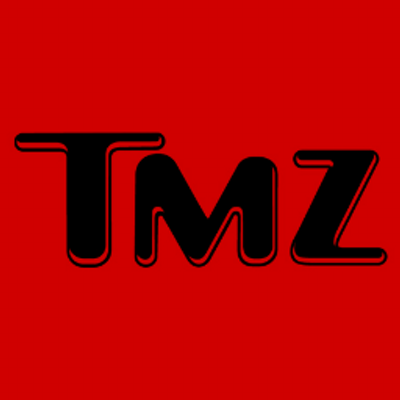 Luxe Models is Obsessed with TMZ! We live in a very celebrity orientated world. We’re obsessed, we just can’t get enough. Whether they are falling in and out and back in love, shaving off all their luscious locks (Ms. Spears, we’re looking at you), or engaging in a little fisticuffs, we just have to know about it. And of course, where there is demand, arises supply. In this case, the supplier has increasingly become TMZ. They seem to have the ability to get ahold of the juiciest celeb videos around, and they very generously share them with all of us. It’s like they’re performing a public service. How else would we have heard the story of Solange, Jay Z and the attack in the lift! The latest celeb video comes in the form of a rumoured altercation between A-List hunk Orlando bloom and troubled Canadian 90’s boy band wannabe, Justin Bieber. Now, we have to take a minute to appreciate both star’s sense of style. After all, it is kinda what we do here are Luxe Models. Bieber has set practically every young male fashion trend since the first strains of ‘Baby’ hit the airwaves. Bloom is a true representative of timeless male style. Stars Engaged in (Alleged) Bad Behaviour! So, we’ve often seen them as role models (more Bloom than Bieber, but still), but it appears as if they’ve lately been engaged in actions that no fan should emulate. According to Digital Spy, an inconclusive video sourced by TMZ appeared to show the stars engaged in an altercation at the Cipriani restaurant, in global party capital Ibiza. Furthermore, eye witnesses supposedly told the gossip site that Bloom threw a punch at the Canadian heartthrob (not seen in the video). He allegedly did so due to Bieber spending time with Bloom’s then-wife, Miranda Kerr at the Victoria’s Secret fashion show way back in 2012. Apparently, Bieber appeared to stir the pot after the incident, by posting and quickly taking down a picture of Kerr on Instagram just after the alleged altercation took place. Luxe Models Cares about an A-Lister’s Sense of Style! This is so juicy we could use it to quench our thirst! Whether it’s true or not, we really hope that neither hit the other too hard; it could have bashed their legendary senses of style right out of their A-List heads! For more news, gossip and articles like this be sure to stay in touch with Luxe Models on Facebook and Twitter.